The southeastern European country of Croatia officially became a part of the European Union (EU) on Monday. Croatia is the 28th member country of the EU, and the first new one to join since Romania and Bulgaria in 2007. 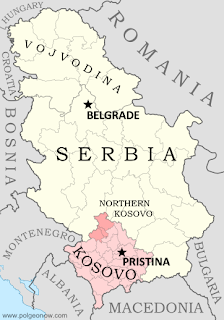 Formerly a part of communist Yugoslavia, Croatia secured its independence in the bloody Yugoslav Wars of the 1990s. 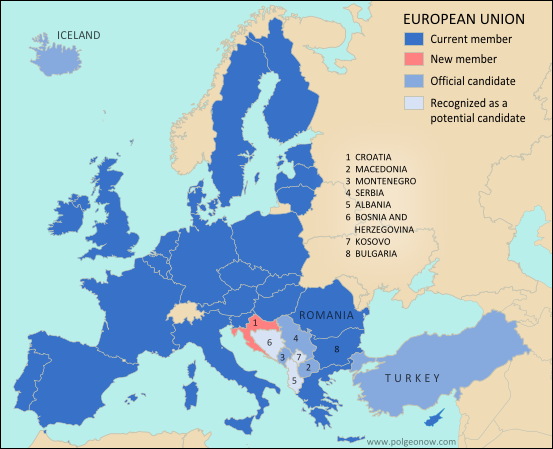 It is only the second of those former Yugoslav countries to successfully join the European Union (after Slovenia), despite all of them being interested. Though Croatia is now an official EU country, it has not yet joined the Schengen Area or the Eurozone. Croatia's application to join the EU was first submitted ten years ago, and since then the country has been in the process of meeting the requirements set for it by existing EU members. One of the last milestones achieved was the commission of an arbitration tribunal for resolving a sea border dispute with neighboring Slovenia, which had used its own EU membership to demand this as one of the terms of Croatia's admission. There are currently eight more countries seeking to join the EU, though none has yet secured an admission date. 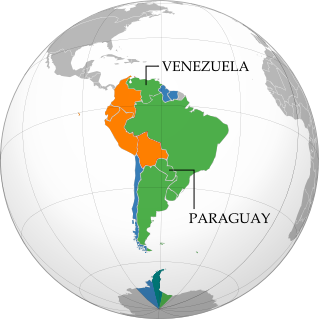 Turkey, Iceland, Serbia, Montenegro, and Macedonia have all been approved as official candidate countries. Meanwhile, Albania has submitted its application, and two other Balkan countries - Bosnia and Herzegovina and partially recognized Kosovo - are officially listed as potential future candidates. 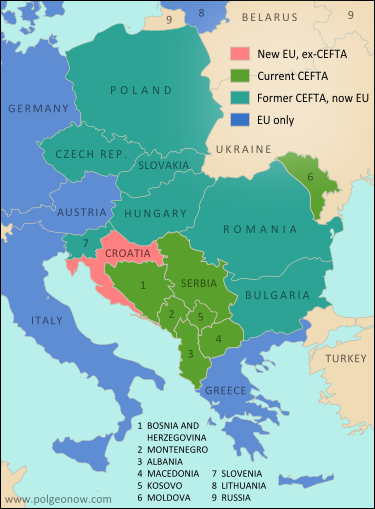 By joining the European Union, Croatia is also leaving the Central European Free Trade Agreement (CEFTA), a trade pact including most of the southeastern European countries which have not yet joined the EU. CEFTA includes the majority of the countries currently trying to join the EU, plus Moldova, and used to include many more of the former communist Eastern European states as well. Joining the EU and subsequently leaving CEFTA is an expected eventual outcome for most of its members.